Mr. Paul of Woodstock First Nation brings almost 46 years of experience in dealing with Aboriginal Affairs in Atlantic Canada. Graduating from St. Joseph, Memramcook in 1969, he worked a year with Indian and Northern Affairs. In 1970 he went to work in the Land Claims Research Branch of the Union of New Brunswick Indians where he very quickly earned the position of Director, a position he held for 10 years. 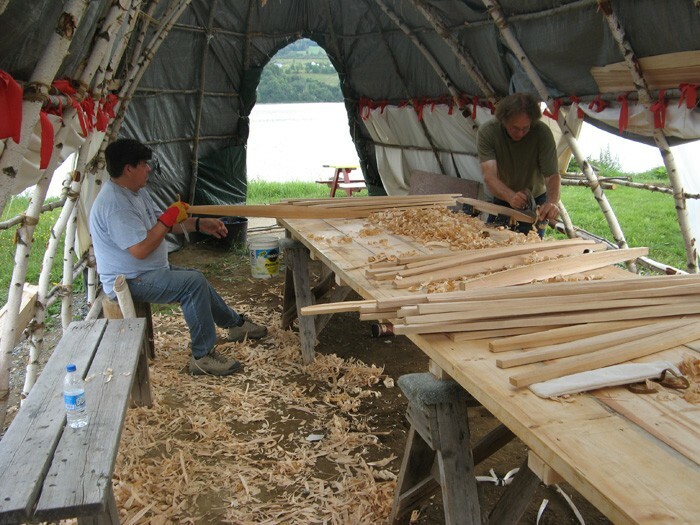 During this time he pioneered many paths into land claims research for First Nations of which researching historical documents and establishing genealogies were fore front. In 1987 he was asked to fill the role of Executive Officer for the Union of New Brunswick Indians, a position he holds today. Elaina Bigras,Home & Community Care Coordinator, N.B. & P.E.I. The Supreme Court of Canada has said that government can no longer be permitted to run roughshod over Aboriginal Rights Titles and Interests. 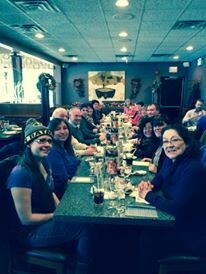 The members of the Union of New Brunswick Indians retain all of our Rights as Mi’kmaq and Maliseet Peoples. 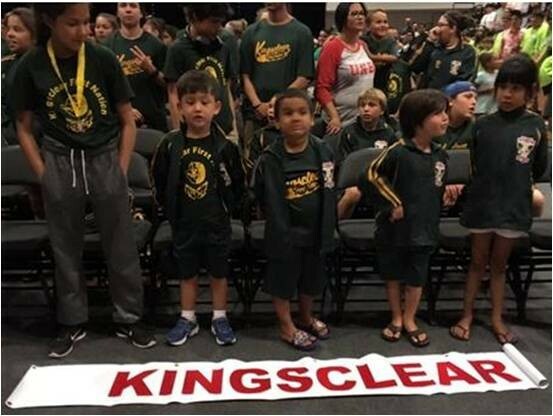 This Proclamation and any actions or processes taken under it are without prejudice lo our Aboriginal Rights, Treaty Rights, Titles and Interests. Signed at Moncton, New Brunswick by the duly elected Chiefs of The Union of New Brunswick Indians this 28th day of April, 2005. 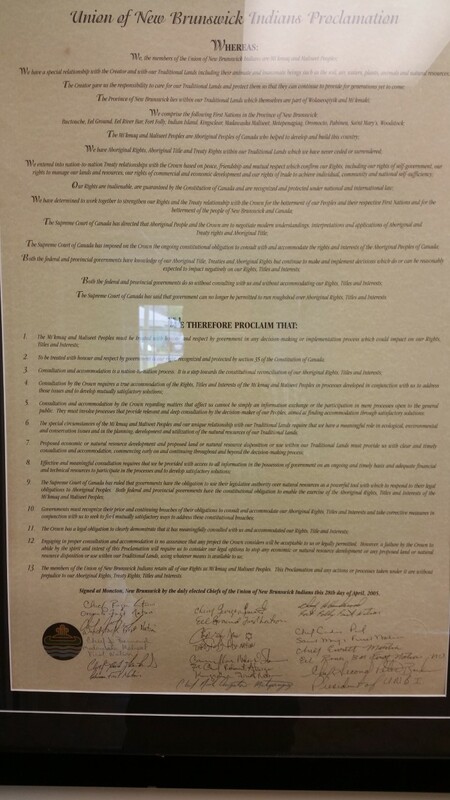 Proclamation is displayed and can be viewed at the UNBI office. "First there was land, and water and game. Indians lived on this land, then саme the white man." 1. 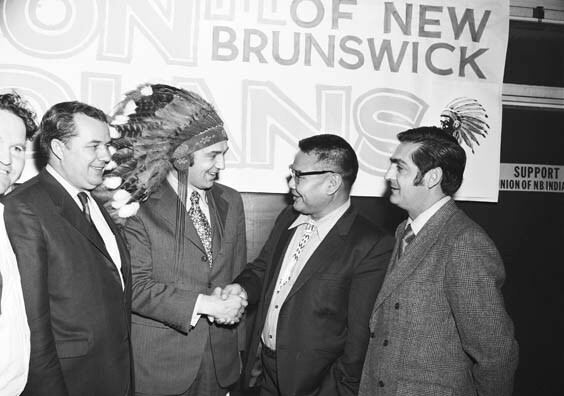 BE IT RESOLVED THAT, the name of this organization will be the "UNION OF NEW BRUNSWICK INDIANS INCORPORATED". of the Indian people of New Brunswick in the presence of all of their aboriginal, treaty and residual rights." 3. BE IT RESOLVED THAT, all those other Articles contained in the adopted By-Laws will be adhered to. 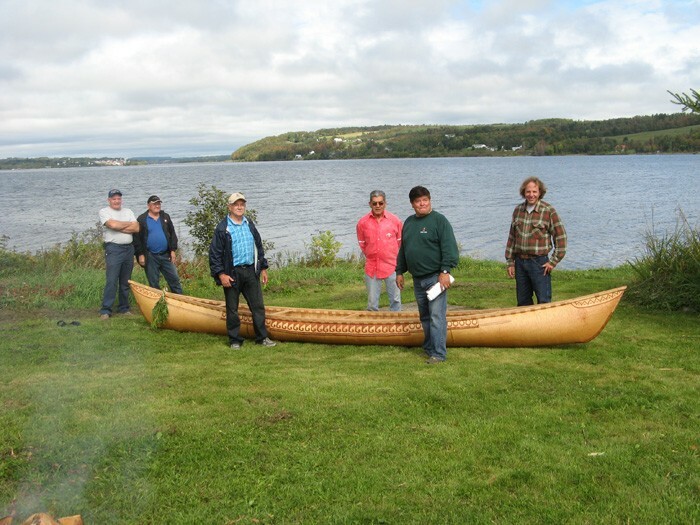 l. To safeguard the aboriginal, treaty and residual rights of the Indians of New Brunswick. 2. 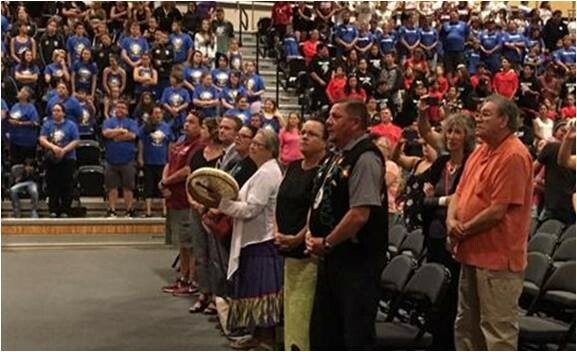 To protect the Indians of New Brunswick collectively from injustices arising directly or indirectly from the interpretation of the Indian Act, and the aboriginal, treaty and residual rights, and civil or criminal court action. 3. To foster and promote human development, social development and economic development of Indian people and their reserve lands in New Brunswick. * HUMAN DEVELOPMENT - assume effective responsibility for the education, training, retraining and upgrading of the Indian people of New Brunswick. 4. Actively support and work closely with other Indian organizations. 5. Maintain contact and co-operate with Federal , Provincial and Municipal Governments, and other non-Indian organization matters pertaining directly or indirectly to the interest of New Brunswick Indians, but not necessarily accepting policies, programs and conditions that jeopardize the rights of Indians of New Brunswick. 1. 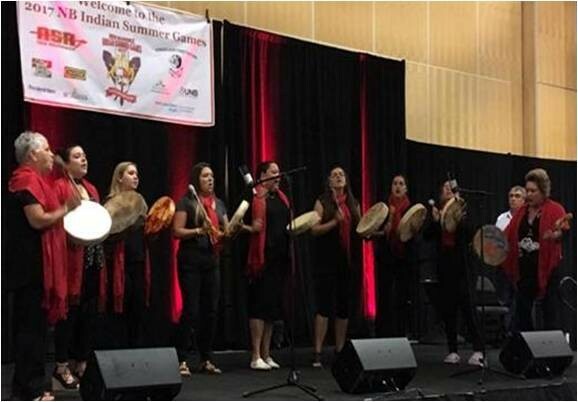 A person who is an "Indian" and whose name is on the "Band List" or "General List" (as defined in the Indian Act, RSC 1970, c. 1-6) in New Brunswick is eligible for General Membership in the Union. 2. Other persons, both Indian and non-Indian, may be invited to become honorary members, subject to the approval of the Board of Directors. 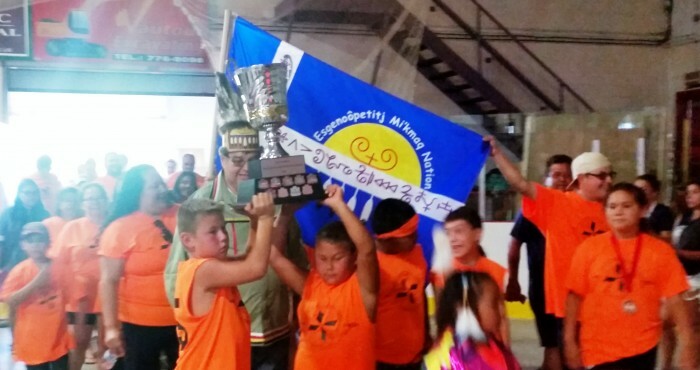 a) The Chiefs of ‘New Brunswick's Micmac and Maliseet Reserves. him or her in his or her absence by written authorization signed by the Chief. 2. The Board of Directors shall appoint its own Chairperson. 3. The Board of Directors will meet monthly to receive formal reports from the Chairperson and to review the affairs and programs of the Union. The Chairperson is to meet with the Program Directors monthly to review the affairs and programs of the Union. Also the Chairperson is to present the Minutes of the previous Board of Directors monthly meeting to the Board of Directors at the next scheduled Board of Directors' monthly meeting. 4. There must be at least a majority of the Board of Director in attendance at a meeting to constitute a quorum. 5. The Board of Directors shall be paid an honorarium of $50.00 per day plus travelling and cost of living expenses while attending the monthly meetings. 6. The term of office of a Board of Director will be as long as that individual remains in office as Chief. 7. The Board of Directors shall administer the affairs of the Union in all matters pertaining to the objectives of the Union and may make or cause to made for it, any description of contract which it may by law enter into. Such contracts to be signed by at least two-thirds of the Board of Directors. a) The Chiefs of all the Reserves in New Brunswick as duly elected representatives of their respective Bands, will be the Board of Directors of the Union. b) The Board of Directors are to meet monthly to review the affairs of the Union with the Chair person. a) Officers of the Union may be hired and dismissed by the Board of Directors, to administer and manage the operations of the Union. b) Officers will be employed on a contract for their services rendered and paid a salary commensurate with their qualifications. d) The duties and responsibilities of each and every officer are to be determined by the Board of Directors who can change, vary and/or alter either or both functions. e) The officers are answerable to the Board of Directors to carry out their duties and responsibilities. 1. An Annual General Meeting shall be held each year on a date determined by the Board of Directors. .
2. A Special General Meeting may be called by the Board as it considers necessary. a) A written notification by registered mail sent to the Board of Directors. b) Written notification (5 copies) mailed to all Band Managers to be posted on notice boards în such public areas as a community hall, church, etc. c) The notice published in one or more newspapers read by the majority of the members. 1. Disbursement of funds shall be made by cheque under the Financial Officer's signature co-signed by the appropriate Program Officer. 2. Recording and authorizations of disbursements of funds shall be done according to the management information and accounting system prepared for the Union by a Union Financial Officer who is a Chartered Accountant. 3. The fiscal year shall end March 31st of each year and audited financial statements will be prepared for the year ending March 31st. The audited financial statements will be delivered by Registered Mail to all Directors of the Union before the end of June. 4. In accordance with section 95 of the Companies Act, every director of the Union, his heirs, executors, estate and effects, respectively, from time to time and at all times, be indemnified and saved harmless out of the funds of the Union, from and against all costs, charges and expenses sustained or incurred by him, in or about any action, suit or proceeding which is brought, commenced or prosecuted against him for or in respect of any act, deed, matter or thing, made, done or permitted by him in or about the execution of the duties of his office; and also from and against "all other costs, charges and expenses which he sustains or incurs in or about or in relation to the affairs thereof, except such costs, charges or expense: as are occasioned by his own willful neglect or default. The articles contained herein may be amended by at least two-thirds majority of the Board of Directors and presented for majority approval at the Annual General Meeting. The Union will be a non-profit and charitable organization. 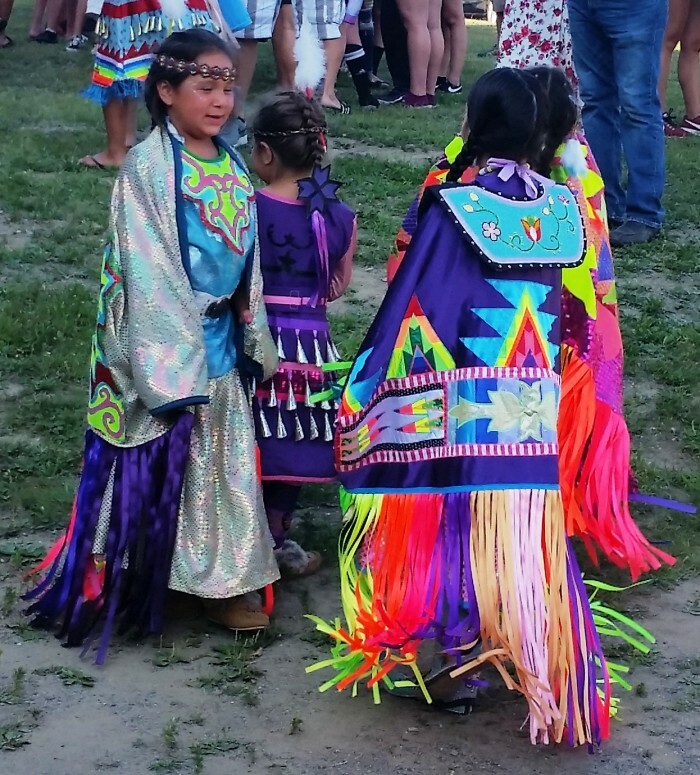 Upon dissolution of this organization, any remaining funds will be made available to an Indian organization approved by the Board of Directors. Please check this box to confirm that you are not a 'spam robot'.